RSVP below to attend our next dental implant day. 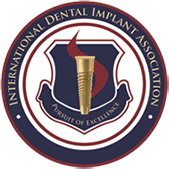 Learn about the procedure, what to expect, and save money on your dental implants by attending the dental implant day. Dental Implants offer a safe and effective way to replace one or several missing teeth, with very little risk for complication. Not only do dental implants make the best option for patients who want to restore natural, healthy teeth, but it is also the best treatment for lost teeth that modern dentistry can offer because it is the only true tooth replacement. If you want to learn more about dental implants, please read more below or sign up to attend our next dental implant day. Our dental implant day is held at our Concord office monthly, and space is limited. We will answer any questions you have and provide on the spot consultations. Reservations are required, so please make sure you rsvp early. Once you’ve had your initial consultation at one of our dental care offices we may determine that dental implants or mini dental implants are right for you. A dental implant is an artificial tooth root, surgically placed in your jaw to permanently replace a missing tooth. Along with cosmetically improving your smile, dental implants such as bridges and crowns can prevent further damage and stop pain by filling in empty spaces left by missing teeth. With a dental implant, your tooth will be restored to look, feel and function like a natural tooth. These durable and long-lasting implants are a great foundation for a beautiful new set of teeth that will improve your quality of life for years to come. Very similar to traditional dental implants, mini dental implants use titanium posts (or man-made roots) that are small in diameter and don’t need a lot of the patient’s bone to place. Unlike standard implants, mini dental implants do not involve multiple surgeries. Often times, they can be placed without any large incisions on the gums. If you’ve asked yourself this question, then you’ve already taken the first step in finding a tooth-replacement plan that will bring back your beautiful smile. Dental implants are a surgical, long-term solution for patients who want to recapture the look and functionality of their missing teeth. Dental implants are designed to replicate and support your teeth for a natural-looking smile. By rooting a metal post into your jaw, the dental implant provides stability for your neighboring teeth and protects your jaw and gums from serious harm or deterioration. Other cosmetic options, such as dental bridges or dentures, leave an empty space in your mouth, which can cause your jawbone to shrink and lead to future complications. In addition to helping with physical discomfort, dental implants help people overcome the social and psychological effects associated with missing teeth. The level of severity varies from person-to-person and can result in minimal to extreme anxiety. If these symptoms sound all too familiar, then dental implants may be the tooth-replacement solution for you. Dental implants are indistinguishable from your natural teeth and can offer you the comfort and self-esteem to live your best life. While dental implants are often regarded as the best and most logical solution to combat the effects of tooth loss, it’s important to find an option that works best for you. Sometimes, a patient may not meet the requirements for a dental implant – i.e. due to jawbone deterioration – in this case, we recommend that you look into jaw augmentation surgery or if all else fails mini dental implants near you. First and foremost, the newfound comfort and confidence that you will experience after getting your dental implant will not only benefit you physically but will provide you with a new outlook on life. You’ll never be embarrassed or feel uncomfortable in public again due to your smile. Instead, you’ll have a healthy, beautiful smile, and every ounce of confidence that you lacked because of it will be restored. No more cavities! One of the best features of dental implants is that your new and improved, artificial teeth will never get cavities. However, you will still want to protect your gums and implant with professional preventive dental care every six months. Saves jaw bone. Your jawbone and teeth support each other, so when teeth are missing your jaw bone can begin to deteriorate. This can result in a gradual facial collapse. Dental implants provide support to your jawbone to prevent deterioration. Easy to clean. Dental implants can be cleaned with same care as your natural teeth. That means brushing, flossing and scheduling regular check-ups with your dentist to protect your mouth and prevent future complications! Durable and everlasting. When properly maintained, your dental implant can last you a lifetime; while ceramic crowns typically last ten to 20 years. As compared to dentures and dental bridges, dental implants will not pull, wear or become compromised through normal, everyday use. Sweet, sweet relief. Want to have your steak and eat it too? Dental implants make it easy to slide back into normalcy with a full, functioning set of pearly whites. Unlike bridges or dentures, they do not anchor on healthy teeth or shift and cause discomfort when eating. Protect your mouth. Uniquely, dental implants mimic the shape and function of real teeth (including their roots), therefore protecting the structure of your jaw and overall oral health. After tooth removal, leaving an empty space in your mouth will cause your jawbone will shrink and deteriorate 40-60% after about two years. Dentures, which rest on top of your missing teeth, can cause gum irritation, and dental bridges can damage healthy teeth by forcing them to bear additional weight. With dental implants, you will be able to not only maintain your healthy teeth but have new natural looking teeth as well. Why Should I Get Mini Dental Implants? After we examine your teeth, if we discover that there is not enough jawbone to utilize standard implants, mini dental implants may be the better option. Or if you have financial constraints but still want a solution that results in a beautiful smile, mini dental implants might be a great choice. Convenient. Typically, mini dental implants can be placed in one visit and often times most of our patients can secure their denture to the implant the same day. If replacing a single tooth or a few teeth, we will provide you with temporary teeth filling in the gaps. Comfortable. Standard implants don’t usually cause much discomfort, but since mini dental implants cause less disturbance to bone and gums there is even fewer possibilities for discomfort to the patient. Mini implants will never split or feel awkward, unlike dentures. However, they can be used to realign and improve our existing dentures. Affordable. We have developed a refined protocol so the typical cost of a mini implant treatment has been reduced by about 65% or more. Since placing a dental implant is a surgical procedure, the process can take several months and will require a minimum of two dentist appointments to complete. While the time frame and procedure for placing an implant varies on a case-to-case basis, there are four major steps that you must complete between deciding to get a dental implant and settling in with your new, artificial tooth. While there are countless benefits to getting a dental implant with Modern Family Dental Care, it’s important to note that the surgical procedure can be costly. That’s why we offer our clients affordable dental implants and payment plans for dental implants. Why Should I Go To Modern Family Dental for Dental Implants in Concord, NC? At Modern Family Dental Care, we pride ourselves on our affordable dental implant restorations near Charlotte, NC. With our Concord dental implants, there is not one high price for every implant like other offices, where costs can reach as high as $6,000 per tooth. There are no hidden fees; all-inclusive up-front fees without additional after surgery fees. Each implant is viewed as unique and are placed and restored at one office by one doctor. We determine location and type of implant to use because not all implant placements require as much time to plan and place. Every implant is different; not all of them require high-priced materials or special parts. With denture implants to snap in dentures, your investment is based on the type of solution, not the number of implants needed. These are just some of the reasons why Modern Family Dental Care is ahead of the pack. Contact us to schedule an appointment for dental implants in Concord, NC or Charlotte, NC! 1) What Maintenance do Dental Implants Require? Dental implants stay in your mouth – not in a cup. Unlike dentures, dental implants stay exactly where they belong – in your mouth. Dentures provide the inconvenience of having to come in and out of your mouth, and you even have to worry about them falling out. Dental implants don’t come out – just brush, floss and take care of your teeth exactly how you would with natural teeth. 2) How Long Will Dental Implants Last? With dental implants, you know exactly what you are getting. They are a long-term solution for tooth replacement and can last a lifetime when properly cared for. Even the ceramic crowns can last 10-15 years, or more, if they are brushed and flossed every day. Contrarily, 95% of all dental implants placed can remain in place after 10 years from the date of placement. Typically, dental bridges will only last five to seven years with average dental care habits and eventually they will need to be replaced. Even more hassle is caused by complete dentures, which will need to be refitted every few years and eventually replaced. Although dental implants may take more time to properly place, they can last a lifetime when properly cared for. This Making the investment in dental implants today will save you both time and money in the long run. 3) What do Dental Implants Look Like? They look like natural teeth. Dental implants look and feel like natural teeth and function that way too. Nobody will be able to tell the difference, as dental implants are made of strong and beautiful materials. They look, feel, fit and function just like a natural tooth. You never have to give up food again due to dentures, as with implants you can eat virtually anything that you want. Dentures can easily cause discomfort or can even fall out while eating – dental implants let you taste and enjoy the foods you love without worry. Never worry about being embarrassed when socializing with friends, family or strangers again. Removable dentures can often cause people to struggle to pronounce even everyday words, implants are so natural and need little to no adjustment to speak. 4) Can mini dental implants be placed in a single visit? Yes – The implants can typically be placed in one visit, and the procedure is minimally invasive. 5) How do I care for my mini dental implants? Clean your mini dentures daily to remove any food buildup or plaque. As always, brush your teeth twice a day, and prior to inserting your dentures. 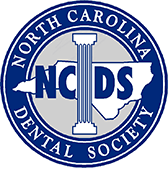 If you have any further questions about our dental implants in Concord, NC or Charlotte, NC or other Concord dentistry services, never hesitate to contact us. Our friendly staff at Modern Family Dental Care will answer any questions you may have and can talk you through the overall process step by step. Excellent care from everyone and a quick, pain-free tooth extraction. All very professional. What else could you want from a dental clinic? My dental implant procedure was great! The whole team is professional and accommodating.Just sorry we moved out of state. Just when I’d found a great dentist! The best dental experience I have ever had! I am currently half way done with a full mouth restoration to include dental implants. Every appointment each staff member very helpful and pleasant! They do their very best to make you feel at easy and in great hands! Loving my new smile thank you!